English Bulldog. Find out all about this comical, affectionate dog breed. The English Bulldog, British Bulldog or just simply "Bulldog" as he is often known, is a very affectionate, calm, good natured fellow. Despite his rather grumpy and slightly fierce appearance, he is one of the gentlest dog breeds in the world. He loves children and will form a strong bond with them. 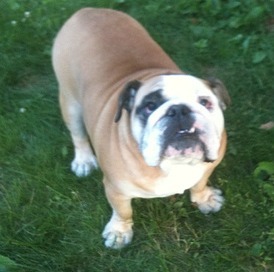 In fact, the Bulldog loves his family so deeply that he is dependent on them for his own happiness. 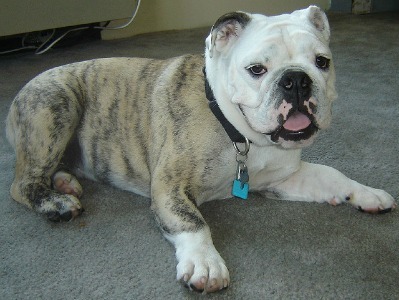 There's no chance of the English Bulldog running away from home either - this chap loves his family too much! And he loves his comforts too - for him there's nothing better than snoring his head off while dozing on the sofa. 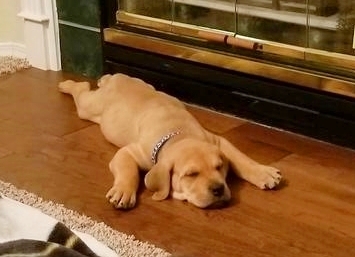 And boy can he snore! 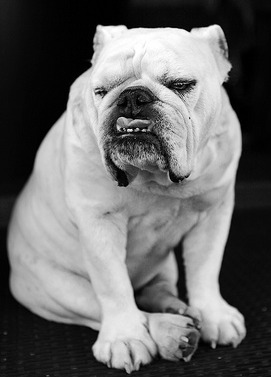 Bulldogs are renowned for their excessive drooling, grunting, snuffling, snoring and chronic flatulence! So a decent supply of scented candles or air freshener may be required when this dog is around! He is ideal for apartment living as his exercise needs are very limited so he is a match made in heaven for owners who are less active. Generally, this Bulldog gets on fine with other animals and dogs especially when introduced to them whilst young, although he can occasionally get a bee in his bonnet about certain other dogs so care is still required when introducing him to other animals. They can easily get overheated very quickly so care must be made to ensure your bulldog never gets too hot. They cool down via the pads on their feet so cool floors are helpful. They are not suitable for places with extremes of temperature. They are also prolific chewers so a few good dog toys around the home should protect your furniture and slippers from being devoured. Speaking of devouring, the Bulldog can be a little possessive over his food too, so try to feed him away from children and other animals. Chews like the ones opposite should keep him occupied for a while! 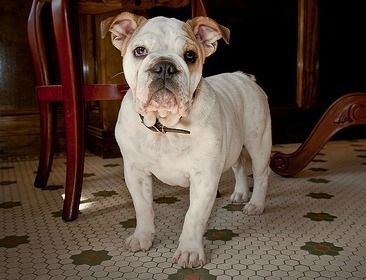 English Bulldogs are enjoying a surge in popularity recently. They were the 6th most popular dog in both 2011 and 2010. English Bulldogs have a rather violent past. They were originally bred for Bull Baiting - that is, holding a bull by the nose long enough for the butcher to kill it. Baited bull meat was considered tastier and it was an offence to sell un-baited meat for human consumption. This eventually led to bull baiting becoming a sport from between the 13th and 19th Century with a lot of money being bet on which dog would successfully pin the bull to the ground and thus win. Several dogs were killed during this sport either by maiming, being tossed into the air, being trampled on or by being gorged by the bull. Thankfully, the Cruelty To Animals Act was passed in Parliament in 1835 which made bull baiting illegal. Unfortunately for Bulldogs, this made them rather redundant. 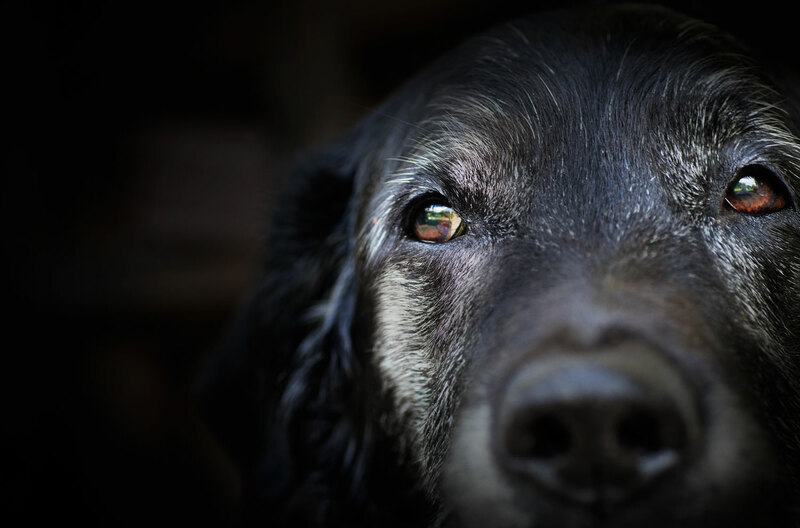 In 1865, a few dog lovers got together and decided to try to save the breed from extinction. 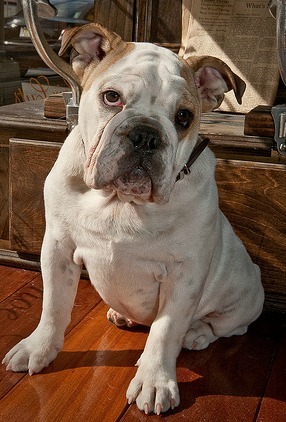 The Bulldogs of old were a lot more aggressive and ferocious and the various breeding programs gradually brought out more distinctions between the different Bull Dog Breeds. 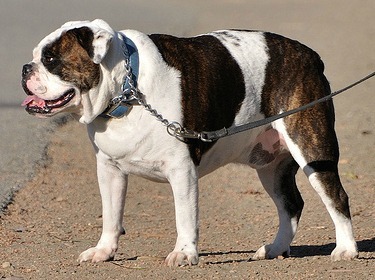 Some were mixed with terriers to become better at fighting other dogs which had become the illegal pastime of choice and some, like the English Bulldog, were not only bred down in size but also bred to be much less aggressive. Unfortunately, due to the temperament seemingly being the most important attribute from the view of the breeders, this has left the Bulldog with many health issues. Modern breeders are now trying to reverse some of these health problems and its thought that the shape and appearance of what we recognise now as the English Bulldog will change in the near future to a dog with a smaller head, sunken nose, less jowls, longer legs and a leaner body. Training an English Bulldog could be a long, difficult task! They are stubborn and take a while to learn new commands. However, with patience and lots of rewarding of good behaviour, the Bulldog can be taught as long as you are firm, consistent and gentle with him. He does not respond to harsh methods or beatings. 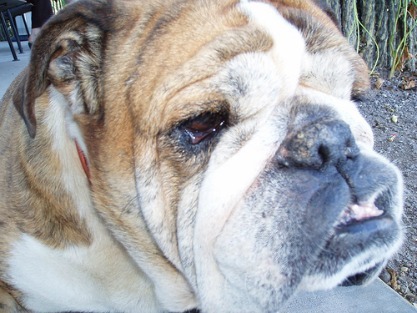 English Bulldogs came out at Number 78 out of the 80 breeds of dogs that Stanley Coren tested when he carried out his "Intelligence Test For Dogs". 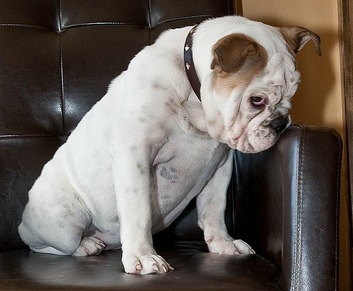 Although the poor Bulldog was almost last when it came to being a smarty-pants, it's not necessarily a bad thing. Having a super intelligent breed comes with it's own issues as often these dogs need to be constantly stimulated or they become destructive. At least with a not so intelligent dog he can amuse himself for a while as it doesn't take much to keep him occupied! Although English Bulldogs have been specifically bred to be less aggressive than their predecessors they are still a good dog for safeguarding as they are very protective of their families. 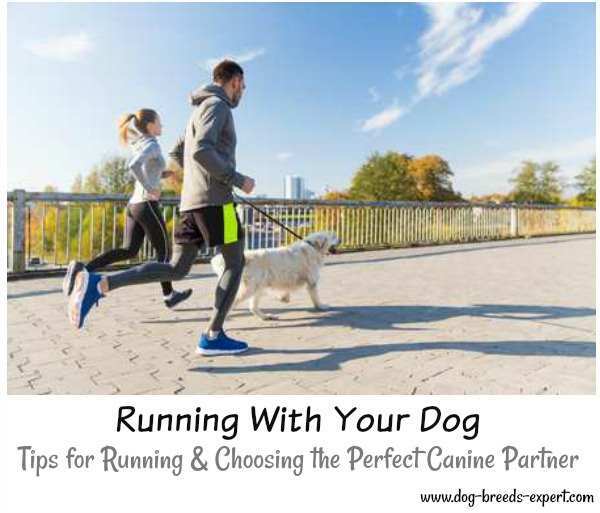 I'm not sure they would be the best dog for chasing down an intruder though - they are very inactive and waddle rather than run due to their short legs! They can get up quite a speed though over short distances, so who knows! The English Bulldog's coat is short and easy to look after. The occasional brush is all it needs. However, he requires more care and attention in other areas. Due to his excessive drooling, you'll need to wash his face every day and also clean in between the folds of skin on his face to keep it infection free and avoid the build up of moisture. 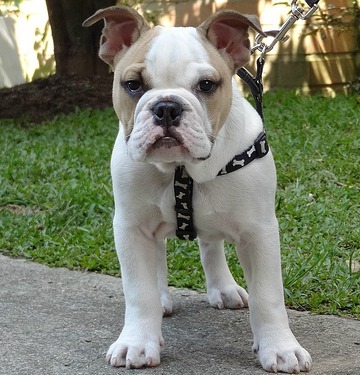 Unfortunately, English Bulldogs are wrought with health issues due to breeders in the past mainly focusing on the temperament they required in the dog rather than the health of the dog itself. Ch. Rodney Stone - the first bulldog to command a price of $5000 at the turn of the 20th Century. Bought by Irish-American political figure Richard Crocker. Lola - Star of the reality series involving The Osbournes. Tillman The World Famous Skateboarding Bulldog - watch his video below!